Patients from the Tampa Bay area in need of a surgeon experienced in angioplasty and endovascular stents will benefit from Dr. Almond’s expertise in vascular surgery. 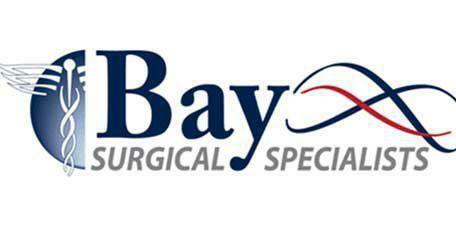 He offers treatments from the Bay Surgical Specialists offices located in St. Petersburg and Pasadena, FL. Angioplasty is the surgical repair of a blood vessel. It is usually done via endovascular catheterization. Usually, the surgeon will use a camera at the end of the catheter to examine the damaged area and determine if and what kind of treatment will be needed. Balloon angioplasty: This procedure involves the use of a catheter with a small balloon attached to the end. The catheter is inserted through an incision near the patient’s groin and is fed through the body to the blockage. One in place, the balloon is gently inflated, compressing the plaque build up against the artery walls and stretching the artery to increase the space available for blood flow. Endovascular stenting: A stent is a small mesh tube that acts like scaffolding inside the artery. Stenting is delivered via catheterization, wherein a small incision is made in the groin of the patient and the catheter is fed to the blockage. Once in place, a small balloon is inflated inside the artery for a few seconds to open it up, the the stent is placed to reinforce the arterial walls and hold the artery open, improving blood flow. Rotablation, atherectomy and cutting balloon: These are less commonly performed procedures where different tools are used to grind or cut away the plaque buildup on the inside of the artery. Catheterization is used as the way to place the instrument on the blockage. These procedures are less effective and riskier than balloon angioplasty and stenting.